On January 20th Chicago q restaurant combined forces with WhistlePig to host a dinner and whiskey pairing. 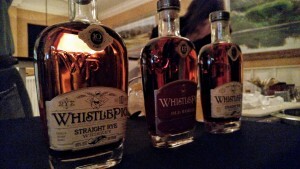 WhistlePig is based in Vermont and currently has 3 rye whiskeys on the market. A 10 year, 12 year, and a 13.5 year; with a 15 year coming out later this year. 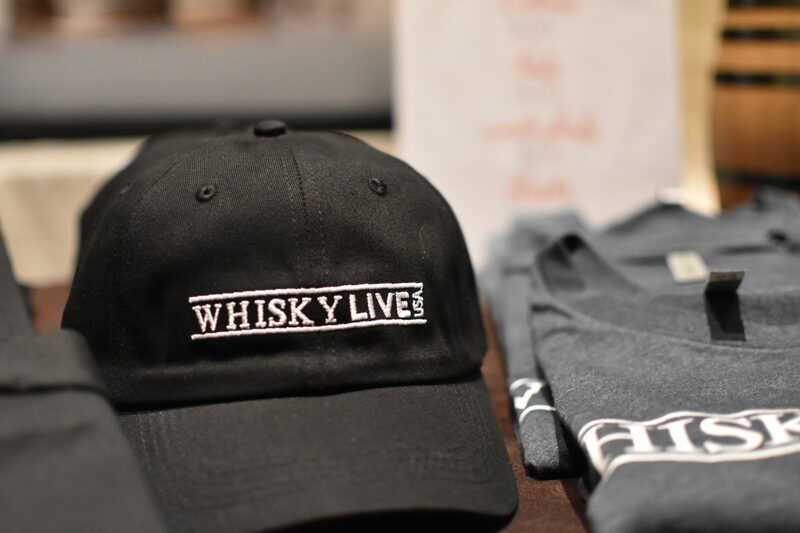 Taylor Hansen, WhistlePig’s Midwest rep, was in attendance to discuss the brand and share their excellent whiskey. The evening began with an introduction and a little history of Chicago q before we dove into the food and cocktails. Our first course was a Smoked Lobster Shooter with red curry whiskey sauce. A seasoned and lightly fried mini lobster tail was accompanied by a delicious smokey curry. This was paired with the Muddled Orange & Cucumber cocktail. WhistlePig Rye, Domaine de Canton, Prosecco float presented with a sprig of dried rye garnish. The cocktail was light, sweet, and refreshing. We could see this being a hit summer cocktail. Our second course was a Rye Citrus Salad with orange, plums, pears, strawberries, almonds, blue cheese, and a rye cane sugar vinaigrette. 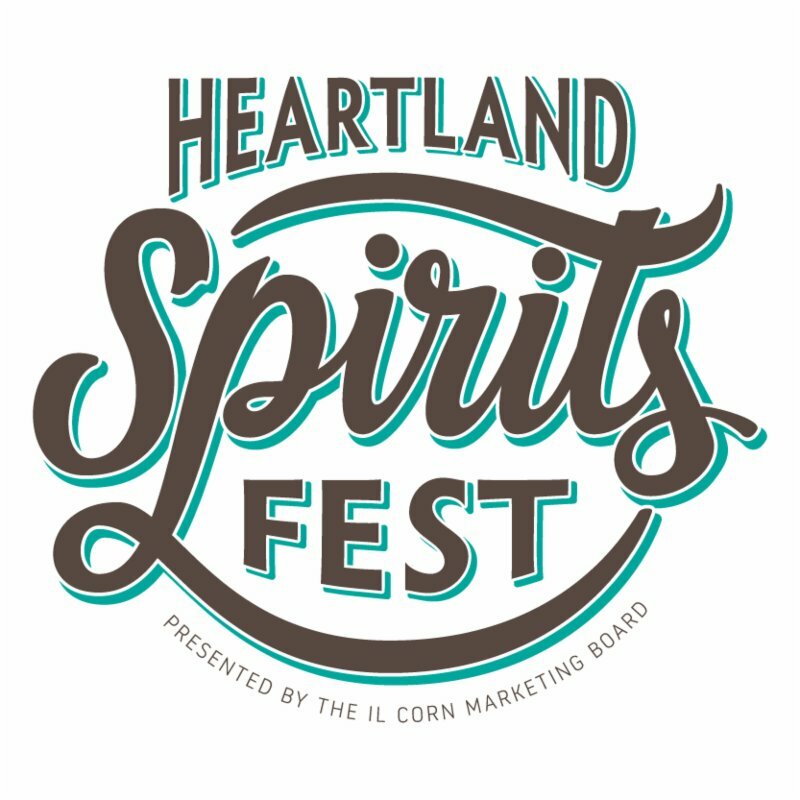 Paired with the Muddled Mint – fresh juiced kumquat & yuzu, St. Germain, WhistlePig Rye. 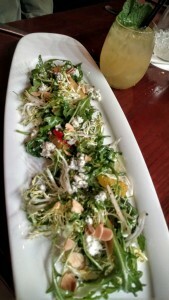 The salad was an excellent medley of sweet fruits and slightly salty nuts and cheese. The muddled mint cocktail was also fantastic. The flavor of this second cocktail was somehow a perfect progression from the first. We don’t tend to get much fresh fruit and mint during these painfully frozen Chicago winters. 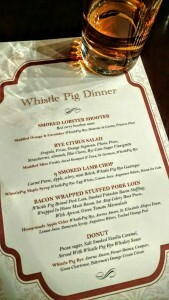 Chicago q and WhistlePig did a great job giving us a taste of warmer times. 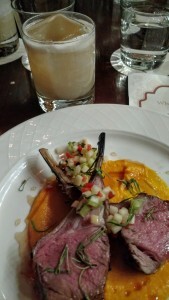 Next came the q Smoked Lamb Chop served with a carrot puree, apple, celery, mint relish, WhistlePig Rye gastrique. Accompanied by the WhistlePig Maple Syrup cocktail. Rye, egg whites, lemon juice, angostura bitters, bacon ice cube. This combination was off the charts delicious. Continuing with a perfect balance of sweet and salty. 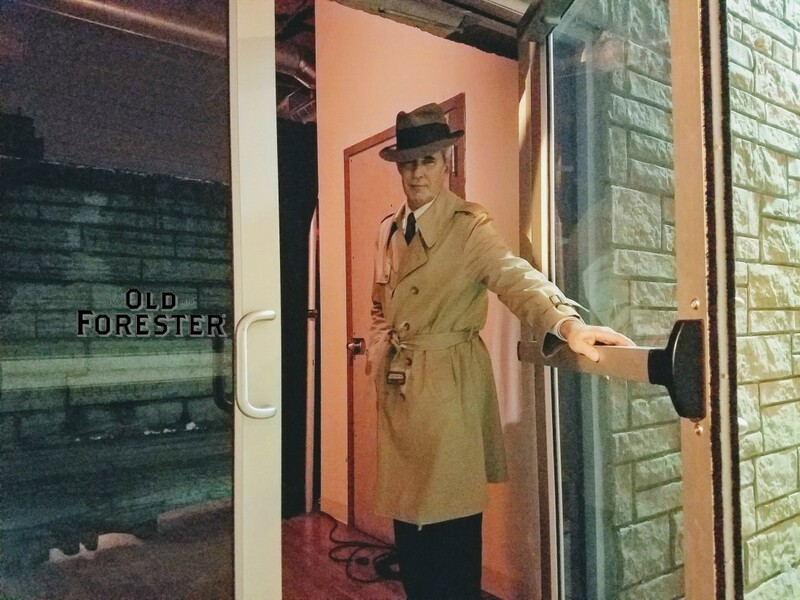 We’re told the lamb chop and cocktail were both made with fresh maple syrup directly from the WhistlePig farm. The presentation of the cocktail was especially unique with its folded slice of bacon displayed under a perfectly clear ice cube. The final entree course was a Bacon Wrapped Stuffed Pork Loin. 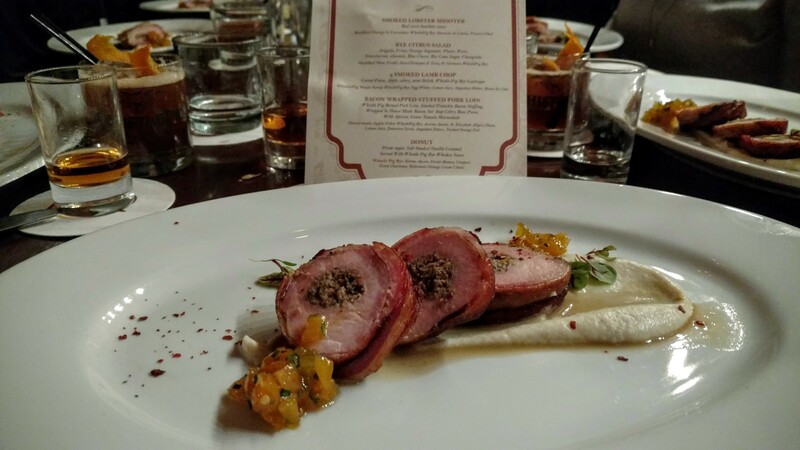 WhistlePig braised pork loin, smoked pistachio bacon stuffing, wrapped in house made bacon, over a celery root puree with apricot and green tomato marmalade. 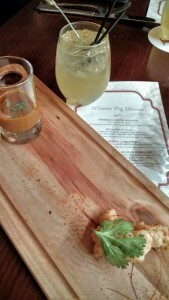 The House-made Apple Cider accompanied this dish. Rye, averna amaro, St. Elizabeth allspice dram, lemon juice, demerara syrup, angostura bitters, torched orange peel. 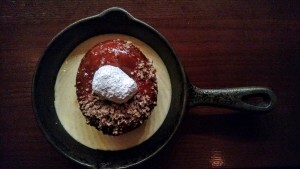 We finished off the night with a Donut topped with pecan sugar, salt smoked vanilla caramel, and a WhistlePig rye whiskey sauce. A digestif simply called ‘The WhistlePig Rye’ consisted of averna amaro, fernet-branca, campari, green chartreuse, Bitterman’s orange cream citrate. The donut served warm from the oven with its creamy vanilla caramel sauce was the perfect end to our evening. I don’t know if this is standard on their dessert menu but if it is, get it! 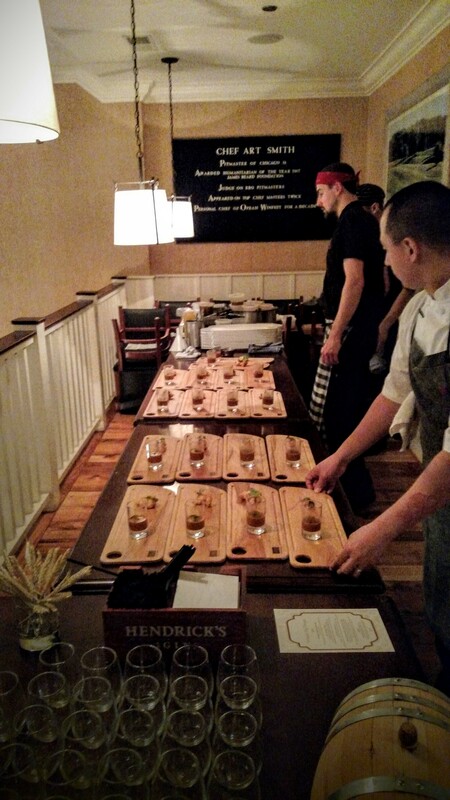 From the presentation to the food, drink, and company the event was a memorable evening. 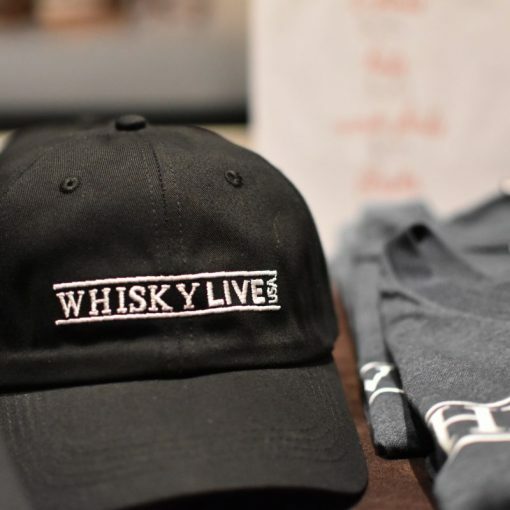 We sat with both industry professionals and whiskey enthusiasts alike. 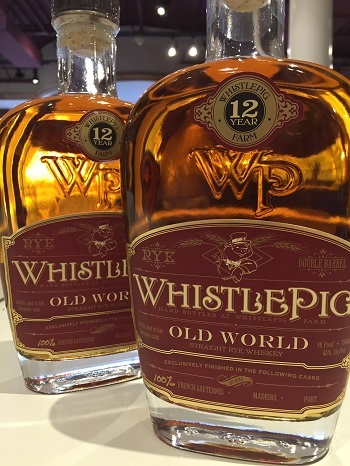 The WhistlePig Rye 15 year will have it’s Chicago launch during Whiskey Week in March 2016 around the time of Whiskey Advocates WhiskeyFest Chicago on March 18th. 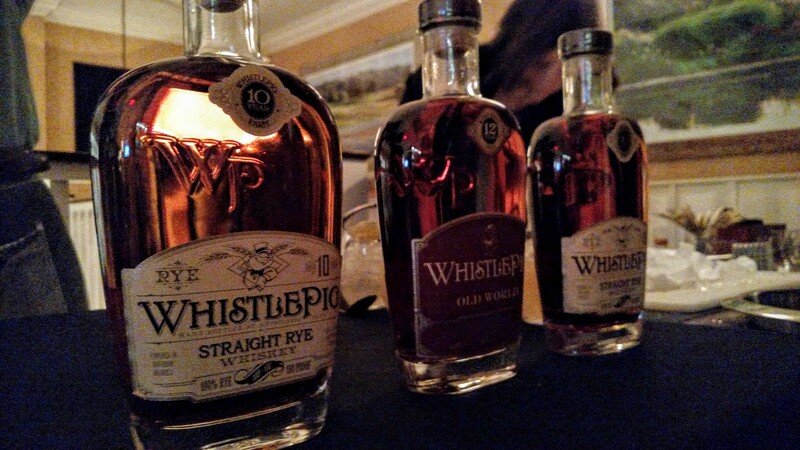 Follow WhistlePig’s social media accounts for more info and subscribe to our blog for coverage of the launch event.